International schools offering K-12 English-medium instruction represent an increasingly important source of high-calibre students to universities around the world. Their reputation as a springboard for students into prestigious universities is a key reason the international school market is now a multi-billion-dollar industry, with 10,000 schools worldwide catering to more than five million students. And the sector’s track record of graduating students with higher-than-average academic results is all the more remarkable because English is not the first language for 80% of students enrolled. With these schools graduating such high-quality students, university recruiters are naturally paying greater attention to the international schools channel in recent years. A recent ISC Research report, “Higher Education Report: Pathways from K-12 English-medium International Schools to University 2018,” reveals that a key to recruiting success in this area is strong relationships between universities and international school college counsellors. In general, universities are engaging more with international schools than they were in 2017: nearly 50% of international school college counsellors said that universities from more countries were now promoting their degrees to the school and its students. Similarly, 20% of respondents to the 2018 study said that they were seeing more recruitment activity compared to a year earlier. There is evidence of a strong correlation between those universities that are engaging with international schools and those that are securing the greatest number of enrolments from them. 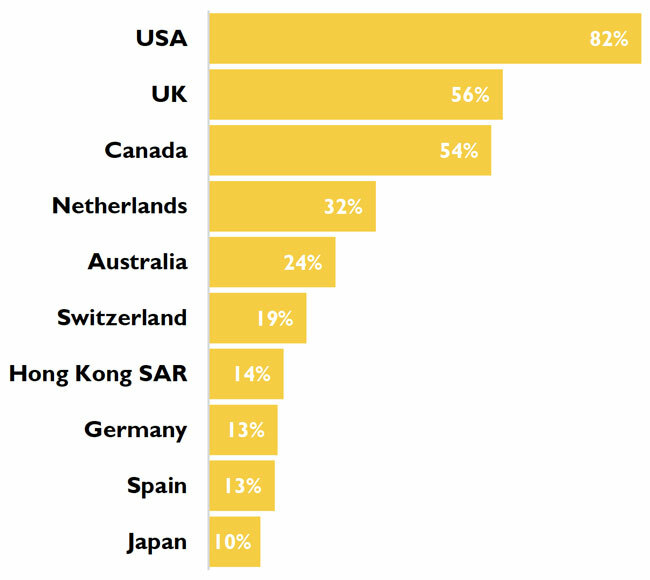 The top destinations for international school graduates are the US, UK, Canada, and the Netherlands, and surveyed college counsellors indicated that universities in those same countries are the ones that are most actively engaging with them. Phone conversations and email correspondence with university admissions officers were cited as key to university–school relationships. College counsellors noted that an overall spirit of relationship building helps to provide a foundation for the volume and pace of communications required when students are considering and applying to universities. More information on the university campus (almost 40%). Offer fam tours to the university (55%). It stands to reason that universities that prioritise real engagement with college counsellors will gain a competitive edge by making it easier for counsellors to perform a key aspect of their jobs: helping students to be admitted into universities and programmes that best fit their needs, skills, and dreams. This entry was posted in K-12, Most Popular and tagged international K-12 schools, international schools, .